Empaths are extraordinary creatures. They are the healers of this planet, the bearers of light and the eternal wisdom. Fragile, little dandelions in the wind. These human beings are known to be incredibly giving, caring and loving. However, their peculiar nature can sometimes be the reason for their sudden, inexplicable anxiety. The empath’s highly receptive nature can sometimes overwhelm them to a point where they completely isolate themselves in order to recharge. These beautiful creatures have a unique power. They possess the eternal gift of Claircognizance. In a nutshell, an empath always knows. An empath will sense your ulterior motives, recognize your pure intentions, feel your love, understand your issues. These pure beings will always feel your energy. And if they have even the slightest hunch that something’s not right, they’ll trust their own guts. Empaths crave for unconditional, all-consuming love. So, even if it means staying alone until they experience it, they will never settle for something that feels wrong. Yes, they possess the eternal gift of claircognizance (clear knowing), but the consequences of having a pure soul and vulnerable heart are sometimes severe. Empaths have a deep understanding of the emotional realm. They wear their heart on the sleeve. 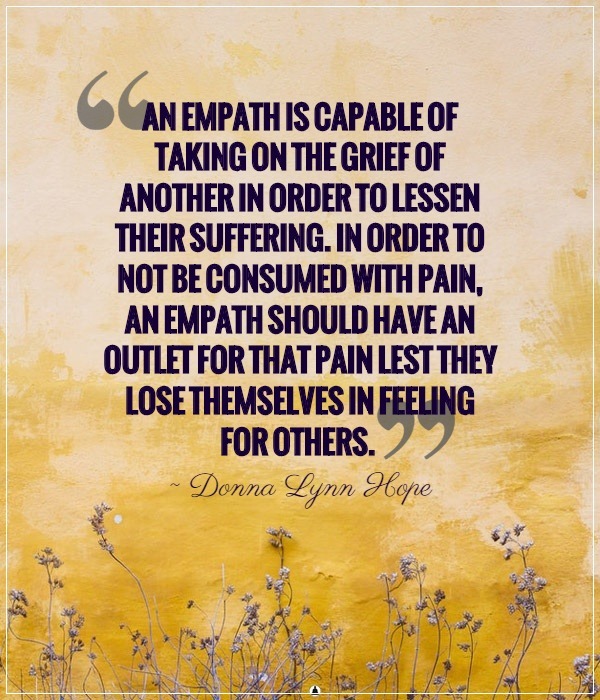 As a result, because of their compassionate nature, most empaths eventually face having their hearts destroyed and lives shattered. These genuine beings know how it feels to have their hearts reduced to ashes. But, luckily, they also know how it feels to be brave enough to rise from the ashes. These sensitive creatures are born with the ability to feel everything too deeply. Sometimes, to a point where their feelings don’t make sense. Empaths can experience a strong sensation of dark or bright energies, but they might not always know how to put their intense experiences into words. That’s why it is essential to understand that sometimes they won’t behave logically. Sometimes, they will be freaked out. Sometimes they’ll need you to just be there, hold their hand and let them know it will be alright. Empaths exist to love. They see the world through love. They are naturally driven by love. They live for love. Their beautiful, big hearts exist only to feel and share pure, genuine love. That is why, they have a need for a person who won’t be afraid of their intense feelings, but someone who will embrace their vulnerable and brave heart and love them more they can imagine. Most importantly, empaths are classified as givers among people. These selfless creatures will always make sure their loved ones are happy. 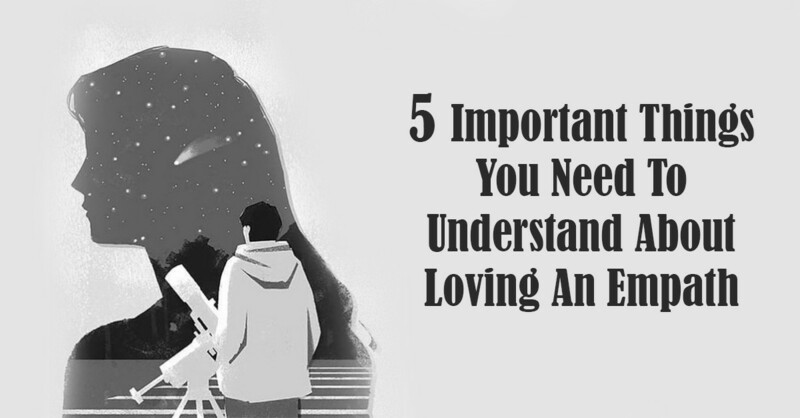 But, even though an empath will always grant you with their unconditional love and support, they will also expect you to play your part in the relationship and show them what you really feel. Remember, nothing is impossible as long as you show them what’s really inside of you. All an empath wants is to feel safe in the warm embrace of the person they love.